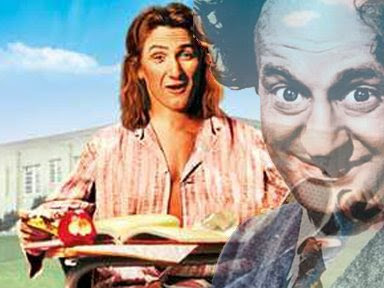 Funnyman Sean Penn has been cast to play Larry Fine in the Farrelly Brothers long-anticipated Three Stooges movie. In light of his recent slapstick turn in Milk, for which he won the Best Actor Oscar, and the comic flop All the King's Men, Penn is the natural choice to play the most reactive of the Stooges. If this casting seems surreal, rest assured that it is probably based on nothing more than a very slight facial resemblance, which is often reason for Hollywood's making many perplexing and obtuse casting choices. Penn has very little experience in comedy. But wait, didn't Penn turn in the ultimate comic-stoner performance as Jeff Spicoli? Wasn't Spicoli enough indicator of true comic talent to glue Penn into a wiry Fine wig? Penn's best comic turn was not as Jeff Spicoli. Spicoli was nothing compared with Daulton Lee, Penn's sniveling, rat-mustached traitor in 1985's The Falcon and the Snowman. Of course The Falcon and the Snowman dealt with the pretty serious business of espionage, the selling of top-secret information to the Russians. 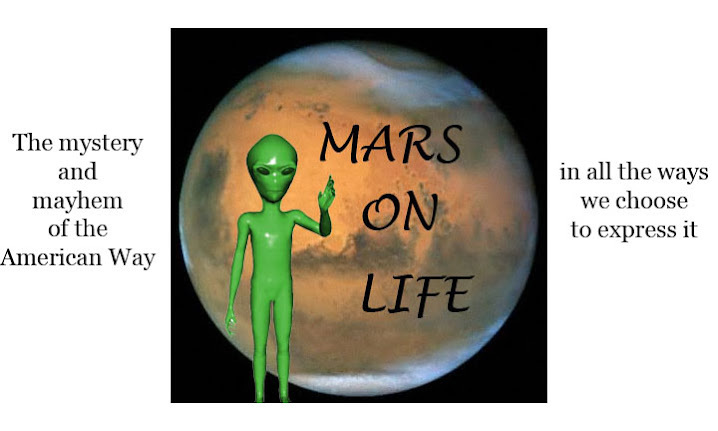 The movie was a cautionary (if dully paced) tale aimed like a Proton rocket at the entitled and spoiled hearts of the Baby Boom generation. Daulton Lee, as played by Penn, was all whining nasal vowels and inimical fecklessness. While this may be a true portrait of the real-life Daulton Lee, who was presumably not a model of aesthetic refinement, the voice sounded like a cheap tic and Penn's appearance was done in by what appeared to be a glued-on mustache. If it wasn't falling-down funny, it was all you could do not to look at Penn and snigger. Penn's playing such a role straight on the heels of his big Oscar win is similar to Halle Berry's Bond caper following her award for Monster's Ball. Although an actor is frequently signed for a role well before any annual awards nomination, it often appears that for whatever brainbell reason an intellectual, subtle actor (Penn, that is) elects a decorative role over a deeply structural one. And that makes you wonder if the actor isn't quite so smart as you thought. It might make you buy a ticket, though, just to see Penn in the wig version of Fine's electroshock hairstyle. Jim Carrey is to play rubber-ball Curley in the movie, and while this makes a good deal of sense given Carrey's range of movement and expression, it is balanced by the bizarre suggestion of Benicio del Toro as the gaily sadistic Moe. While Carrey is understandable, del Toro is terrifying. Surely, Moe Howard's extravagant bowl haircut ran against all known sumptuary rules, but this is no reason to consider del Toro for what one suspects is that actor's equally extravagant hairline. The movie is not a biopic. Rather, it is a whole new story that will introduce the Stooges, displaced from their Depression milieux and their roots in the great tradition of Jewish vaudeville, to modern audiences. It seems a perfect fit for the Farrellys, yet one is left with the idea of a parallel universe in which the real-life Stooges suddenly acquire a hitherto-unsuspected intellectual language when they find themselves dangled precariously above the farcical casting of the Farrelly Brothers feature. I am looking forward to see it, I heard a rumor that Jim Careey was going to gain weight for the role!! I hope not.